We provide overnight delivery services to all of Texas, Oklahoma, Arizona, Missouri, and most of Southwestern U.S.
We take pride in our unbeatable rates and our consistent record for prompt delivery and outstanding customer service. Get a custom quote for your needs. Private Courier vs. larger businesses. What is the logistics standard? STAT Overnight Delivery is a courier service that specializes in the delivery of pharmaceutical products. Our HIPAA-certified drivers and staff are well-prepared to meet and exceed all of your delivery needs. One rate, no matter the state. STAT Courier Service has always been courteous and professional towards my staff and my clients. They have proven their competence many times over since we started using them. I love their real time signature capture technology. . . I highly recommend STAT Courier Services. I used STAT Courier to deliver loan closing documents and was very impressed with their drivers always being in uniform and very courteous. The order system they use is very user friendly. I would recommend this company to anyone needing courier services. Stat Courier Service did an amazing job. Professional and courteous drivers. I would recommend them to everyone. Great company. If you want great customer service and know your products will be delivered " on time, every time " this is the company to use. I started using STAT about 5 years ago to supplement my delivery services in areas where I was having a difficult time justifying the expense of hiring another employee and buying another car. A year later STAT proposed doing a cost analysis on my current cost to deliver prescriptions, the rest is history. STAT eliminated the expense of my own drivers, vehicles, and the headaches associated with getting prescriptions from point A to B. On top of their professionalism, I really like the fact that you can pick up the phone and get questions answered quickly. 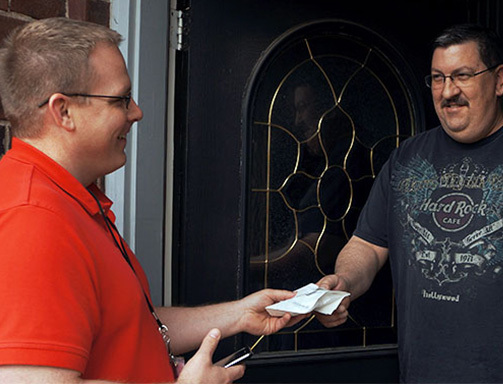 It is a delivery company you can count on when it is all about professional and timely service. Drivers are very professional and friendly. The office crew lead by Mr John the operations manager are awasome. Extremely reliable and fast! They have come through for me in that region during absurd hours of the night, and their customer services is always friendly and top notch! Life savers! Thank you! At STAT Overnight Delivery, we offer you quick delivery as part of our Dallas/ Austin/San Antonio/ Houston/ Tyler/ Oklahoma City/Tulsa/Scottsdale/ St. Louis courier service. Give us a call today!